What is Blog Hop '09 you ask? It's this great idea that Robin of Pensieve & Musings of a Housewife thought up so that all of us not hitting Chi-town for BlogHer can party from home. You get to hop around, find new blogs, and meet lots of new friends. How cool is that?! Want to join the fun? Just click on the graphic above! Hi Blog Hoppers! Thanks for stopping by! I'm Nessa and I've been blogging for about a year and a half. Here at Ramblings, I write about a little bit of everything: life, small town Texas life, the adventures of being a SAHM, product & book reviews, giveaways, kids, the DH, just whatever pops into my head. I also share recipes over at What's Cookin', so if you are looking for some family friendly fare you might want to check it out! That's me in a nutshell! I also write a weekly column, In The Kitchen With Nessa, over at Homemaker Barbi. I'd love you to come check it out every Monday! I am so glad you stopped by! I look forward to finding some great blogs to read during the hop & to making new friends! Enjoy the hopping! So nice to meet you! The "what's cookin'" recipes look awesome...need to go print some right now! I always love meeting another Texan mama online. Nice to meet you! Swingin' by from the BlogHop. I'm also a Texas Mama- near Houston. Hey girl maybe you have some sahm tips for a newbie and i am working on my bloghop post. I'm so glad I hopped in.. now I need to check out your recipes. I wonder if there is a group for all of us Southern Mom Bloggers....Maybe we should start one if there isnt. Nice to meet you. Stopping by on the BlogHop. Those recipes look yummy! Hi! Nice to *meet* you! I'm a stay-at-home from Texas, too [near Houston]. I look forward to reading your posts, and I'm going to grab your blog badge & put it on my blog, Family Stories. Hi Nessa, it's great to meet you! Thanks for letting me hop on over. Small town Texas can be . . . interesting, can't it. I love the picture of the bluebonnets and ?paint brush? on your header. Sounds like you definitely keep busy! Hi Nessa! 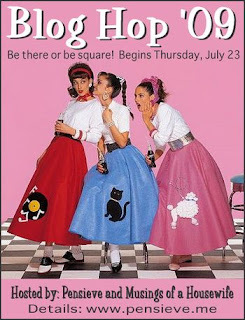 (Why are my comments for this blog hop reminding me of 12 step meetings?) Anyway, just wanted to say "nice to meet you." I'm going to go check out some of your recipes - I'm always on the look out! Hope you're enjoying the blog hop! Hey There Texas Mama! Stoping by from the Blog Hop. Hope you get a chance to stop by and check me out! Nice to meet you. Going to have to check out your recipes. I love trying new things and I Love sharing recipes too. Stopping by from the blog hop to say hello. I am hop-ing over to you from BlogHop'09, I am #311. I was busy this weekend so I'm a little behind. It is so nice to meet you! I'm glad I found your "what's cooking" recipes, I've been trying to think of something for dinner and was coming up with zilch.